Physiomesh, an abdominal hernia mesh manufactured by Ethicon and Johnson & Johnson, was officially recalled from the global market in 2016 due to its high rate of severe complications. Prior to its recall, Physiomesh was fast-tracked through the FDA approval process according to an FDA 510(k) Premarket Notification. Due to this fact, it was not subjected to the necessary testing required to uncover now commonly agreed upon product flaws. Men and women across the globe have fallen victim to the life-threatening complications of Physiomesh. In reaction, cases are currently being consolidated nationwide as devastated patients seek financial compensation for their losses. Physiomesh is used to treat ventral hernias which occur when a bulge of tissue pushes through weakened muscles in your abdominal wall. There are about 500,000 ventral hernia repair surgeries that take place each year and it is estimated that about 330,000 have been repaired using Physiomesh since 2010. Physiomesh is constructed from a dangerous substance called propylene that adheres to tissue and can cause erosion and organ perforation (as opposed to biologic mesh which absorbs into the body and strengthens the muscle structure naturally). In order to avoid complications from propylene, the manufacturer, Ethicon, created Physiomesh with a thick coating. This coating causes the device to slide around inside the body and eventually dissolves, exposing the propylene which can greatly damage internal tissue. Additionally, Physiomesh’s “flexible composite” has less elasticity than its competitors causing poor attachment to tissue which could lead to contraction, ripping of tissue and recurrent hernias. This recalled hernia mesh video walks you through the history of physiomesh and what went wrong. If you or someone you know has Ethicon mesh inside them this video is for you! Watch this video to learn the who, what, where, when of physiomesh. With any medical drug or device it is always better to know too much than be left in the dark without any information. Video: Do you have a claim from your hernia mesh implant? This video lists all complications that could result in a claim against Ethicon, the makers of physiomesh. Watch this video now to learn more. Video: Where did Physiomesh go wrong? Did you know physiomesh was used before it was proven safe for use? This is one of the many reasons why physiomesh is harming consumers. Physiomesh can cause a lot of adverse effects and it’s important to know what to watch out for. Watch this video for need-to-know info on hernia mesh. Video: Physiomesh, How Does it Work? Physiomesh is dangerous because of what it’s made with and how it’s used. 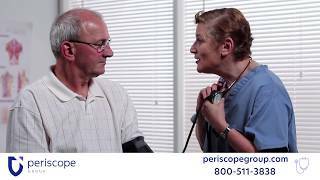 Watch this video to learn about how hernia mesh works. When was hernia mesh recalled? Why was it recalled? Is it hernia surgery really unsafe? This recalled hernia mesh video answers these questions and more. Regardless of where you live in the United States, if you (or a family member) have suffered from a defective Physiomesh, you may be a candidate to receive a settlement for the pain and suffering that you have endured. Currently, the number of Physiomesh cases filed continue to grow. In fact, you may have heard that Physiomesh will have a “mass tort” lawsuit. This means that if there are a large number of plaintiffs that have similar complaints against a product or device and they are joining together to make a claim against the company that sold it. To help with medical costs or the financial expenses of the pain and suffering incurred, patients are seeking compensation from the manufacturer through these upcoming mass tort settlements. So far there haven’t been any settlements concerning Ethicon Physiomesh. However, as more and more people are coming out with complaints against Ethicon’s Hernia Mesh Product, this is bringing public attention to this case and allowing more people with Physiomesh problems the confidence to share their stories. On December 27, 2016, Sarah Ann Gilman filed a complaint in the US District Court for the Middle District of Florida, claiming Ethicon Physiomesh was defectively designed. Gilman had to undergo revision surgery due to an abdominal bulge, return of the hernia and severe pain which occurred when surrounding organs were damaged by the exposed hernia mesh. Matthew Huff filed the first major lawsuit against Ethicon when he developed severe and permanent injuries after being implanted with a Physiomesh. He had to have revision surgery to remove infected tissue in 2013. Huff’s case is the first to go to trial and is scheduled for January, 2018. “The product, Ethicon Physiomesh Composite Mesh, was defective, unreasonably dangerous, and not suitable for implantation in Matthew Huff,” the lawsuits states. “Huff has suffered severe and serious problems and complications…caused by the product. Henry Lee Brown had a hernia patch which subsequently failed and eroded into his intestines. This resulted in the need for invasive surgery to remove the Physiomesh. The complications required the surgical resectioning of Brown’s small bowel to remove adhesions. Lizzey Annett of Texas underwent hernia surgery in July 2014. After the surgery, she noticed an enlarging bulge that turned out to be a recurrent hernia. In February 2015, she had another hernia surgery involving a 15cm by 20cm Physiomesh patch that also failed. During a third surgery in October 2016, the doctors noticed that the Physiomesh had caused small cuts to Annett’s bowel. The surgeon had to perform two small bowel resections to repair the damage. A condition where an organ or fatty tissue pushes through surrounding muscles or connective tissue. A screen-like material that is applied to the muscle perforation to prevent the organ or tissue from pushing through. If a hernia repair fails, the tissue is able to push through the muscle again. When the mesh breaks apart and can dangerously move to surrounding tissue and organs. When an implant fails to attach to tissue, it can move around possibly causing damage to organs and surrounding tissue. Surrounding organs are damaged due to an artificial implant that is out of place. At the site of a previous surgery, the muscle wall weakens due to an incision and makes it easier for the intestine to push through. (also called an “incisional hernia”). A new study has shown that up to 45% of patients could develop an autoimmune disorder after having a medical implant due to genetic disposition. Are you at risk? If you have had a Physiomesh implant, then these stories might sound familiar to you. No one should have to endure the pain and suffering of a device that was not fully tested. Maybe you have medical bills that are piling up or your pain has hindered your ability to work. Whatever your circumstances, Periscope Group wants to listen to you. We can help you to determine if you have a case to get the compensation that is owed to you.